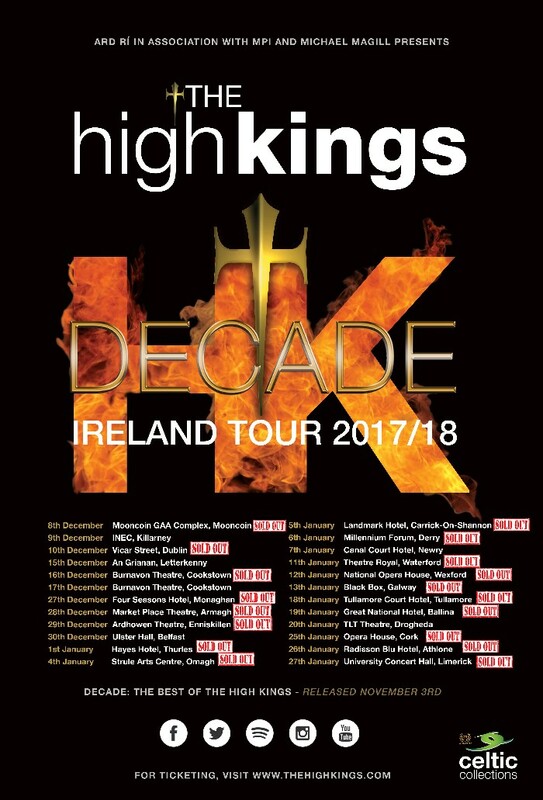 The High Kings near the end of their Irish tour with only three dates left in Cork, Athlone & Limerick remaing. All three shows are sold out and the band are looking forward to playing to packed houses on the three nights. The High Kings return to Ireland in April for the Vicar Street show, the next chance to catch them in their homeland. Next stop Germany & the USA.